Juan Cole is howling about a threat of legal action from the Middle East Media Research Institute (MEMRI), which objects to claims he made about its press monitoring operation—claims which, according to MEMRI's president Yigal Carmon, are factually untrue. Cole claimed that MEMRI is funded "to the tune of $60 million a year" (an absurd figure), that MEMRI is biased (in the eye of the beholder), and that it is somehow linked to the Likud party (it isn't). MEMRI now demands a retraction on all three points, and threatens Cole with possible legal action if he fails to do so. It has come to my attention that your organization, Middle East Forum, is maintaining a Web site with "dossiers" on me. Further, that you have publically called upon others to monitor my speech and actions on a constant basis and to provide to your internet Web site reports on me, which you intend to post. As a result of your actions, I have been the victim of repetitive spam attacks, which a reasonable person could have foreseen. I maintain that these actions may constitute a form of stalking, including cyberstalking, as defined under relevant Pennsylvania and Michigan state statutes. I believe they also may constitute conspiracy to encourage others to stalk, and may be actionable under those grounds as well. If you do not immediately remove my name from your monitoring Web site, cease maintaining a "dossier" on me, and cease and desist from calling upon others to spy on me and repudiate your earlier calls to do so, I reserve the right to pursue all legal remedies, criminal and civil. I ignored this threat because I wasn't a party to Campus Watch (another case of Cole jumping to conclusions). I know that Pipes ignored it as well, and he adduced other reasons when he made adjustments to the website on September 30. What strikes me, in retrospect, is how quick Cole was to threaten legal action, when in fact Campus Watch did far less damage to him than he has done to MEMRI. Campus Watch simply listed Cole and put together a collection of links to his work. (The list looked like this; Cole's "dossier" looked like this.) At that point, Campus Watch had made no specific assertions about his scholarship; nor had it said a word about his funding, his biases, or his party political affiliations. And Campus Watch, which did not post Cole's e-mail, encouraged no one to bombard Cole with spam, something Cole may have prompted his thousands of readers to do to MEMRI, by publishing its e-mail address and urging them to write to it. MEMRI's president, Yigal Carmon, shouldn't have threatened legal action—in part because it makes too much of Cole, who's famously prone to fact-free tantrums, and whose weblog is an embarrassment of errors. But in the same measure, Juan Cole shouldn't have threatened action two years ago against Daniel Pipes and myself. I don't like the culture of litigation, where people deal with criticism by legal intimidation instead of arguments. Cole now piously writes that "threatening bloggers with lawsuits... violates the essential spirit of open discourse on the Web," and he's urged his readers to demand that MEMRI "respect the spirit of the free sharing of ideas that makes the internet possible." But the sad truth is that Cole himself was the first to hurl the threat of a frivolous lawsuit against a website—and with far less justification. The Juan Cole-related postings below originally appeared in Sandbox, this website's quick news weblog. Sandbox is a supplement to the established web column Sandstorm. Mar 16 2004 8:35 am">You talkin' to me? Juan Cole, the Oliver Stone of Middle Eastern studies, sends me a warning over HR3077. "[Kramer] has messed with the wrong person," Cole announces. "We may lose this one. But he should be in no doubt about the public relations damage he will have done to his own weird causes over the long term by picking on me." The weird thing is that I haven't been picking on Cole. In fact, I haven't mentioned him in over a year. (Drop his name in my search engine.) Sorry to have ignored you, Juan, but your stuff is just a bit too flaky to warrant comment. Cole's emergence as poster boy for the contribution of Middle Eastern studies to the national debate is... well, unfortunate for Middle Eastern studies. He's right about one thing: if HR3077 passes, I won't have won this one. He (and his friends) will have lost it. Jun 20 2004 4:55 am">In the Cole mine. Juan Cole, in an interview, claims that the neocons (he names the usual suspects) "have imbibed this kind of Israeli racism towards Arabs, that Arabs only respect force, that you can get them to inform on each other because of all the internal clan feuds... Israeli racism towards the Arabs is not a good guide to dealing with a society like Iraq." Using brute force... playing off clan feuds... informants... gee, isn't that how Saddam dealt with Iraqi society? (And with much success, alas.) Well, maybe he too learned it from the Israelis. 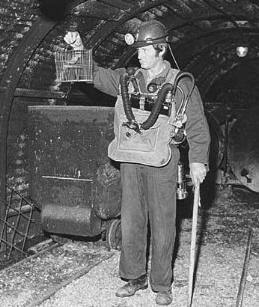 Jun 29 2004 4:38 am">Canary in Cole mine. Juan Cole bids farewell to Paul Bremer, whom he describes as a "congenital screw-up." Last August, when things weren't going all that badly in Iraq, Cole had a different take. He pronounced Bremer a "product of American Middle Eastern studies" and a "State Department Persianist"ï¿½top credentials in Cole's book. But this was completely fanciful. Bremer wasn't a product of American Middle Eastern studies. (He majored in history at Yale and earned an MBA at Harvard.) And he was never a Persianist. (His official bio lists his languages as French, Dutch, and Norwegian.) I think that's when I stopped reading Cole's weblog for factual information. Jul 05 2004 3:51 pm">Exhibit A. The suspended commander of Abu Ghraib, Brig-Gen. Janis Karpinski, now claims she met an interrogator at the prison who told her: "I'm from Israel." For Juan Cole, "Karpinski's statement nails it down," and he goes into another one of his anti-Israel seizures, laying Abu Ghraib, 9/11 and you-name-it at the feet of "the Likud." Well, it nails nothing down. When it comes to the Qaeda-Saddam connection, Cole has demanded "the sort of evidence that would stand up in court." But to nail Israel, this scrap is good enough. "In good journalism," Cole once huffed, "you don't go to print with a single uncorroborated source." That's right, but Cole's weblog of innuendo regularly does just that. The guy seems bent on confirming all my claims about Middle Eastern studies. He's becoming Exhibit A.
Jul 11 2004 6:33 am">Debt to Hassoun. Juan Cole is now "reluctant" to comment on Marine Cpl. Wassef Ali Hassoun, the Lebanese-American who was "kidnapped" in Iraq and then turned up in Beirut, safe and sound. Earlier, Cole had used Hassoun as a peg for a paean to the contribution of Arab Americans (Danny Thomas, Dr. DeBakey, etc.) "All Americans owe [Hassoun] and his family a debt of gratitude that cannot be repaid," Cole announced. "The next time any American looks askance at someone for having an Arabic accent or appearing Arab, they should remember Cpl. Hassoun. I only hope he can escape his captors so that we can remember his further exploits." Well, he's "escaped," and his exploits are lookin' questionable. Keyboard-happy Cole owes Arab Americans an apology, for turning a complete nobody into their paragon. Jul 21 2004 11:01 am">Cole-cocked. Juan Cole comments on the 9/11 Commission's finding that most of the Saudi hijackers passed through Iran before the operation. Cole then invokes his presumed expertise on Islamic sectarianism to discount any possible implications of the fact. And whose interest is served by a possible Iran connection? Cole: the "Likud lobby," which "wants the Tehran regime overthrown in part because it stands in the way of an Israeli annexation of southern Lebanon, with the Litani river as the long-sought prize." Sic. Presumably the Nile and the Euphrates will follow. Cole is quick to jump on pundits who lack his self-advertised expertise on Islam, Iran, or the Arabs. Cole knows absolutely zero about Israel, yet that doesn't stop him. Aug 3 2004 10:52 am">Cole turkey. Juan Cole outdoes himself today, with this observation (following the attacks on Iraqi Christians): "Even medieval Islamic law recognized the right of Christians, Jews and other monotheists to practice their religion and enjoy rights to their lives and property. This relative tolerance has often been enhanced in the twentieth century by the rise of nationalism, wherein Arab Christians sometimes are privileged as symbols of national authenticity, because Christianity predated Islam in the nation's history." Enhanced? Privileged? Iraqi nationalists perpetrated massacres against Iraq's Christians in 1933, and against its Jews (who also predate Islam in Iraq's history) in 1941. Islamists today are just continuing the work. Cole...incredible. Aug 17 2004 6:01 am">The Oracole. A participant in a Washington Post Internet chat asked blogger-professor Juan Cole this question: "If the US were to pull out of Iraq today, what would happen? What would Iraq look like in five years?" Cole's answer: "If the U.S. abruptly withdrew, it would probably mean chaos. On the other hand, if the U.S. doesn't withdraw, that might mean chaos, too. I'd say there is a 50/50 chance of the Iraqis tossing the U.S. out of their country within the next two years." He has spoken. Aug 23 2004 8:57 am">Sunnis=Protestants? Professor Juan Cole.com misleads his readers with a long-discredited analogy. "Sunni Islam most resembles, it seems to me, Protestant Christianity in its authority structures." It's an archaic comparison, laid to rest (I had thought) by Bernard Lewis: "Some, in trying to explain the difference between Sunnis and Shi'a to Western audiences, have described them as the equivalents of Protestants and Catholics.... The absurdity of the comparison is shown by a very simple test. If the Shi'a and Sunnis are Protestants and Catholics, then which are the Protestants and which are the Catholics? The impossibility of answering this question will at once demonstrate the falsity of the comparison." Serious scholars should discourage misleading analogies, not promote them. Aug 26 2004 7:01 am">Dial 911-COLE. Juan Cole.com is puffed in a Detroit paper. His beginnings: "Because I was familiar with the terrain from which al Qaeda developed, people would ask [me] questions.... My answers were thought well of by my colleagues." No doubt. So spoke Cole, two weeks after 9/11: "I've spent 30 years now studying Islam and this scenario does not sound to me like Islamic fundamentalism. I mean maybe it sounds a little bit like the Applegate people (a group in California who believed they were ascending UFOs for outer space) but it doesn't sound to me like it has anything to do with Islam." A year later, he still described Al-Qaeda as "an odd assortment of crackpots, petty thieves, obsessed graduate students, would-be mercenaries, and eccentric millionnaires." Familiar terrain indeed. Aug 29 2004 2:51 pm">All but Jewish. The upside of the Pentagon-Israel "espionage" media-fest is how it serves as bait for conspiracy theorists, crackpots on left and right, and closet antisemites. The case of the purported Israeli mole in the Pentagon is likely to join the cases of the purported Israeli interrogator at Abu Ghraib and the purported Israeli operatives in Iraqi Kurdistan. But on the way, a few more people will show their colors, and that's always useful. Read Juan Cole for starters. He's sounding more like Bobby Fischer each day. One example: "[Alleged mole Larry] Franklin has a strong Brooklyn accent and says he is 'from the projects.' I was told by someone at the Pentagon that he is not Jewish, despite his strong association with the predominantly Jewish neoconservatives." They only admit their own kind, but Franklin can pass. Sep 1 2004 12:30 pm">Investigate Lewis! Juan Cole isn't happy that the FBI's Pentagon leak investigation is focused on Larry Franklin, who isn't even...you know. To Cole's mind, the "conspiracy of warmongering and aggression" includes not just Franklin's Pentagon associates, not just AIPAC, but The Washington Institute for Near East Policy, Daniel Pipes, and, yes, Bernard Lewis. Today Cole retails a "tip" from an unnamed source, on Lewis's supposed influence over a Defense Department appointment. Cole's tipster: "Were there ever to be a serious investigation of the Israeli infiltration of the Pentagon (unlikely, of course), one would certainly have to examine Bernard Lewis's role here." (Left-wing nuts call Lewis an Israeli agent; the right-wingers still think he's MI5.) I guess this chart of the plot will have to be expanded. Sep 2 2004 9:41 am">Colecism. In one of Juan Cole's postings yesterday, he speculates on the doings of "Israeli arms merchants connected to the government in Tel Aviv." Actually, the government of Israel sits in Jerusalem, not Tel Aviv. The Knesset convenes, the cabinet deliberates, and the prime minister sits in Jerusalem. The "government in Tel Aviv" is a stock phrase in Arabic, usually employed to avoid mentioning Israel (as in "the government of Israel"), or simply to deny any association between Israel and Jerusalem. Sometimes a small slip tells a lot, and Cole's slip tells us this: his vantage point on Israel isn't just Arabist, it's Arabic. Sep 5 2004 3:02 pm">Sullivan on Cole. Andrew Sullivan takes Juan Cole to task, for his "glib and easy assignment of ulterior motives and bad faith." Cole makes "unproven accusations that this administration is deliberately working against the interests of this country. If you ask me, that's why the far-left Middle East academic elite has had so little influence over this debate. Their shrillness crowds out their expertise." Cole responds rather meekly (Sullivan too big? ), then makes this lament: "I mean, sure, I situate myself on the left side of the aisle, but 'far left'? What could that mean? Isn't it just name-calling?" Well, just the other day, Cole called me an "extremist." I may be a few degrees right of center, but an "extremist"? Hardly. Name-calling. Cole gets a dose of his own—and he whines. Sep 5 2004 5:44 pm">Cole on a roll. Yeah, I know, I really should stop commenting on Juan Cole's commentary. It's just that it gets more outlandish by the day—he must have gone off his medication. And he so perfectly demonstrates my case against the Middle East studies establishment that I am drawn to him like a moth to a flame, like a kid to a candy store, like... Anyway, after another update on what he calls the "AIPAC spy case," Cole delivers an out-of-the-blue tirade against Waled Phares, a media-savvy prof at Florida Atlantic U. "The FBI should investigate how Phares, an undistinguished academic with links to far rightwing Lebanese groups and the Likud clique, became the 'terrorism analyst' at MSNBC." This is not meant as a joke: an earlier post suggested that Bernard Lewis be investigated (see above). Juan Edgar Hoover. Sep 14 2004 7:45 am">Tinfoil cap. I can't help quoting Eli Lake's NYSun column from last week on the conspiracy theorists who've come out of the woodwork in the Larry Franklin affair (a case so murky, it hasn't got a name). Lake cites a few far-out examples, but names Juan Cole as "taking the cake for outrageous libel." Lake: "Only a few years ago, Mr. Cole's blather might be consigned to that corner of the Internet reserved for tinfoil-capped witnesses of alien landings and the self-appointed investigators of the British royal family's drug cartels. But it is a sign of the times that Mr. Cole is appearing as a commentator on National Public Radio and has been quoted in the Washington Post and has spoken before the Senate Foreign Relations Committee." Lake joins Andrew Sullivan (see above) as a Cole-burner. Oct 11 2004 10:14 am">Defining success. Juan Cole argues that Bush has failed in the war on terror. Evidence? "If, three years after 9/11, Zawahiri can arrange for al-Qaeda to blow up yet another building, this time in Egypt, killing scores, that is a sign of failure. If an al-Qaeda-aligned group...is permitted by the Pakistani state...to blow up Shiite mosques, ... that is a sign of failure. If radical Sunni groups, or ex-Baathists aligned with them, are able at will to fire Katyusha rockets into the Baghdad Sheraton..., that is a sign of failure." No, Professor Cole. If Al-Qaeda had managed to repeat a 9/11-style attack in the U.S., even in miniature, that would be a sign of failure. Terrorists, like the poor, will always be with us. The definition of success: keeping them out of house and yard. Oct 31 2004 2:11 am">Cole, boycotter. Juan Cole, last week: "I urge academics and others to boycott the United States Institute of Peace this year, as long as extremist ideologue Daniel Pipes serves on it." (Pipes, it will be recalled, is one of sixteen members of the Institute's board of directors. His term ends in a few months.) This (belated) call to boycott a nonpartisan federal institution mandated by Congress is an incredibly irresponsible statement from a candidate for the presidency of the Middle East Studies Association (MESA). If the extremist ideologue Juan Cole has been elected MESA's president (we will know that shortly), I'll urge academics and others to boycott the association as long as he serves on its board—as president-elect, as president, and as past-president. Perhaps what this country needs is more than one association for Middle Eastern studies. Oct 31 2004 2:48 pm">Psy-Cole-gize. Juan Cole tries to blame 9/11 on Ariel Sharon via Ziad Jarrah, the Lebanese hijacker-pilot of the plane that went down in western Pennsylvania. Jarrah "was eight when the Israelis invaded his country [in 1982] and wrought so much destruction. He obviously was deeply traumatized by the experience." Obviously? Jarrah wasn't a traumatized kid. His well-to-do family says he was shielded from the hardships of war and showed no interest in politics. He became a well-adjusted and fun-loving teenager, attended Christian schools, and had career aspirations in engineering and aviation. The 9/11 Commission says he only showed signs of radicalization in Germany, after falling under the spell of fanatics in Hamburg. Jarrah's case points to the kind of reprogramming that happens in cults. There's no evidence for childhood trauma of any kind. Cole just made it up. Nov 25 2004 3:58 am">Cole jogs my MEMRI. Juan Cole has stirred up all the far-out blogs, over the threat by MEMRI to sue him for erroneous claims he's made. Cole has gotten all pious about the web, and he's posing as a martyr for freedom of expression. So over at Sandstorm, I publish for the first time an e-mail he sent to Daniel Pipes and me two years ago, threatening to hit us with a frivolous suit. I ignored him, and so did Pipes. What Cole doesn't seem to understand is that unfettered freedom of expression isn't just for him. I do think MEMRI is wasting its time threatening Cole: maybe I'm wrong, but I have trouble taking his juvenile weblog seriously, no matter how many cult followers worship there. Still, perhaps MEMRI will persuade him that his assertions aren't facts just because he asserts them, and that boys who get caught telling white lies get spanked. Nov 26 2004 1:21 am">Out of all proportion. Juan Cole has claimed that MEMRI is funded "to the tune of $60 million a year." Some bloggers have pointed out that MEMRI's filings show a budget of under $2 million, to which Cole responds: "I deny that I have misstated their funding. It is silly to think that the nearly $2 million that underwrites their Washington office is anything but the tip of their financial iceberg." You want silliness? $60 million is equal to the budgets of the Brookings Institution and the Heritage Foundation combined. (These premiere think tanks, with hundreds of staff covering all aspects of foreign and domestic policy, fill their own office buildings in Washington.) It's more than a million dollars a week. It's $165,000 a day, seven days a week, 365 days a year. It's twelve times the budget of The Washington Institute for Near East Policy, where I'm camped right now. And it's one more reason why I can't take Juan Cole seriously. He hasn't got a clue. Nov 27 2004 1:55 am">He wrote the wrong letter. On some of the weblogs, commentators have suggested that Juan Cole should have resorted to publicity, not legal threats, to deal with Campus Watch. In fact, one person on the Campus Watch list proposed just that. "What to do for now?" he asked in a letter to his colleagues. "I believe that an Amnesty-International-type approach may be the best response.... Those concerned that this move damages academic freedom and who object to the technique of keeping dossiers on and encouraging others to spy on teachers and writers should write letters." And he went on to urge that these letters be written to media outlets (CNN, MSNBC, Fox) and Congress. Who set out that strategy? Well, it was... Juan Cole, the very same day he threatened to slam Pipes and me with a lawsuit. Cole preached reasoned appeals in public, and practiced legal intimidation in private. I suspect he wrote only one other letter that day—to us. Nov 30 2004 12:20 pm">Armed Liberal shoots. Marc Danziger, the "Armed Liberal," writes an open letter to Juan Cole. Danziger had come to Cole's defense against MEMRI's threat of a lawsuit. "My support was essentially a political act—a statement that while we differed in almost every way, I supported your right to speak—as a political act—without the threat and expense of lawyers vetting every word. Then I was informed of your similar threat against Martin Kramer and Daniel Pipes." Danziger accuses Cole of "threatening to use the law to quash their legitimate political actions," and ends thus: "You would have had my support—and the support of others who believe as I do—in this issue, and now you don't." Read it all, including comment #1 (by Glen Wishard), on Cole's claim that we "cyberstalked" him. Nov 30 2004 5:37 pm">$60 million in tips. How did Juan Cole calculate MEMRI's annual budget at $60 million? Somebody wrote to him to ask, and he replied: "I think [MEMRI] are getting very substantial in-kind donations of labor and services in Israel, possibly from Israeli military intelligence.... Think about it. How do you buy hundreds of Arabic newspapers every day?... We are seeing a tip of an iceberg." When the questioner pointed out that MEMRI produces only an item a day or less, quite possibly generated by tips from readers, Cole responded: "If you counted the 'tips' in the fax machine as part of the labor of the organization (and I suspect it is something much more organized), they would be worth lots of money in time etc." Even Cole-supporter Mickey Kaus has called this "non-confidence-inspiring reasoning." To say the least. Dec 2 2004 5:46 pm">The Compleat Cole. The Forward, a national Jewish newspaper, runs a short piece on the Cole-MEMRI affair. It offers this context: "Unlike other pro-Palestinian professors who have come under criticism, Cole has not publicly questioned Israel's right to exist, nor has he condoned terrorism. He opposed the boycott of Israeli academics." This is true but incomplete. Cole rejected an academic boycott, but in the same breath added this: "I could support the divestment campaign at some American campuses, aimed at university investments in Israeli firms, because the business elite in Israel is both more powerful and more entangled in government policy than the academics." When Harvard president Lawrence Summers described divestment campaigns as "anti-Semitic in their effect, if not their intent," Cole denounced the statement as "extremely dangerous and troubling... with dire implications for civil liberties." Just for the record. Dec 9 2004 10:37 pm">Word-eating time. Remember U.S. Marine Corporal Wassef Ali Hassoun, who was "kidnapped" in Iraq and turned up safe and sound in his native Lebanon? At the time, Juan Cole used Hassoun as a peg for a paean to the contribution of Arab Americans (Danny Thomas, Dr. DeBakey, etc.) "All Americans owe [Hassoun] and his family a debt of gratitude that cannot be repaid," Cole announced. "The next time any American looks askance at someone for having an Arabic accent or appearing Arab, they should remember Cpl. Hassoun. I only hope he can escape his captors so that we can remember his further exploits." So he "escaped," and he's been investigated for five months, and he's just been charged with desertion, and he'll be telling his "exploits" to a military court. How about it, Professor "Informed Comment" Cole? An apology to Arab-Americans? If you saw an hour-long piece on al-Jazeerah about the reality of the United States, with English subtitles, and the reporter speaking on the U.S. had never been to America, had never read a book about America, did not know a word of English, and moreover said all kinds of things that were complete fantasy and altogether wrong, would that man be someone you would recommend to others as having an important opinion on the matter that millions of people should be exposed to on NPR and CNN every other day? Quite right. But I see that Cole appeared the other day on Al-Jazeera to discuss the Iraqi elections with Fouad Ajami and an Iraqi opposition figure. Cole decided to speak in English, apologizing to his Arab viewers that "the subject requires precision." So I guess they gave his remarks Arabic subtitles. Now I wouldn't dare to speak Arabic on Al-Jazeera either, but then I don't make the boast that Cole makes: "Unlike a lot of American specialists in the Middle East, who did one Fulbright year and now find their language is rusty, I kept up my Arabic." His bio also claims that he "commands Arabic." I guess his Arabic, like mine, doesn't always obey. I'm a bit disappointed. Cole also writes in his bio that he's "lived in a number of places in the Muslim world for extended periods of time," which is an enviable credential. But the Muslim world is an awfully big place, and to the best of my knowledge, Cole has never been to Iraq. (Ajami, Michael Rubin, and a host of academics have made the trek, some of them repeatedly, over the past couple of years.) So all things considered, I wonder what millions of Arabs who watch Al-Jazeera make of Cole as an expert on the reality of Iraq.